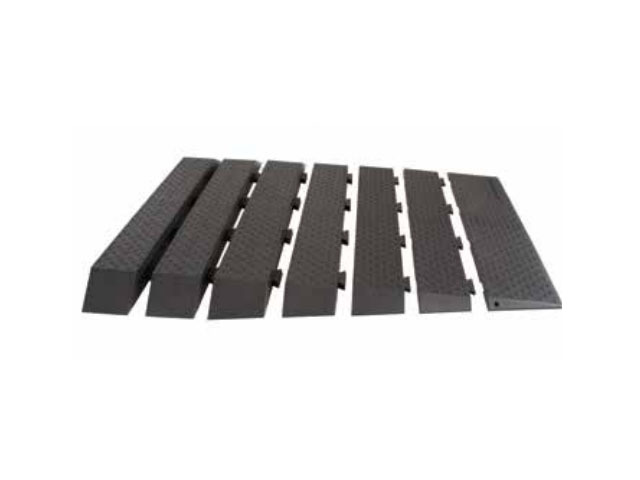 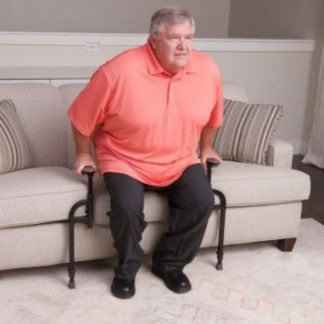 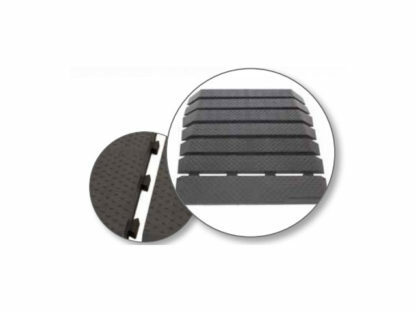 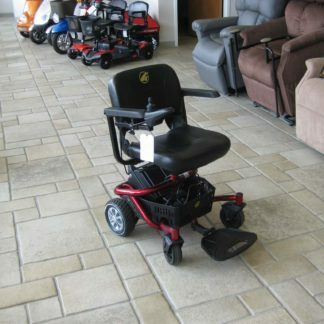 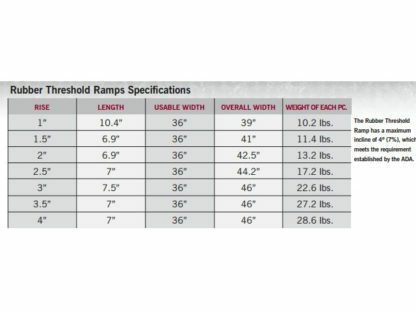 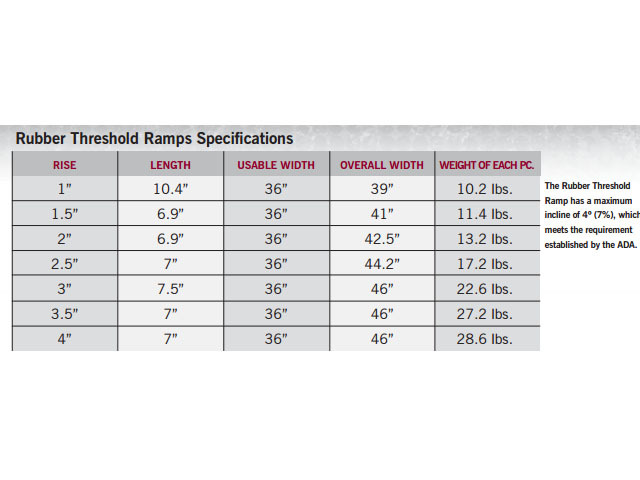 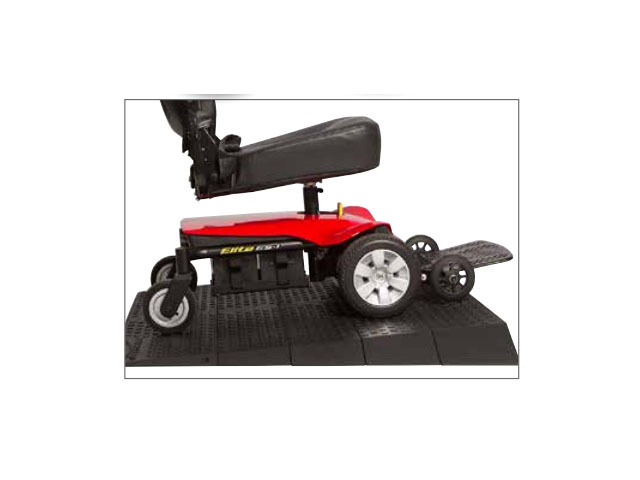 Rubber Threshold Ramps from Pride provide a durable and safe means of navigating uneven household surfaces including small steps and doorways. 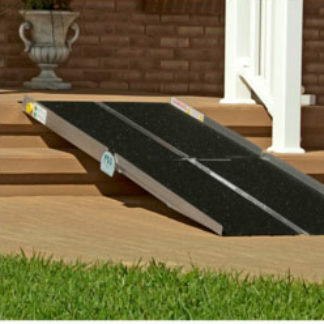 A hidden dovetail locking system allows for easy installation and incremental ramp height adjustment of up to four inches. 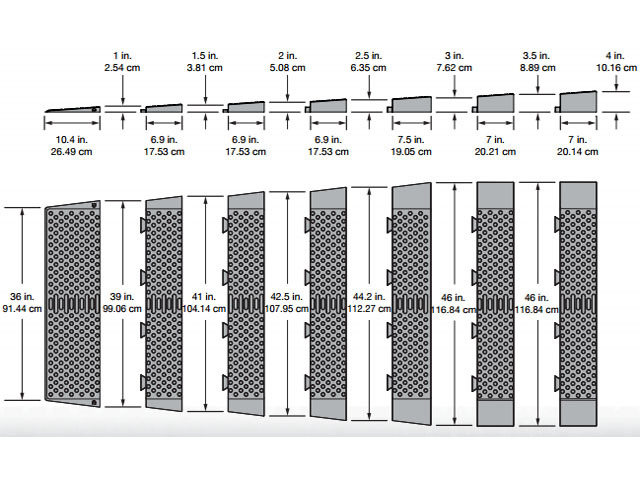 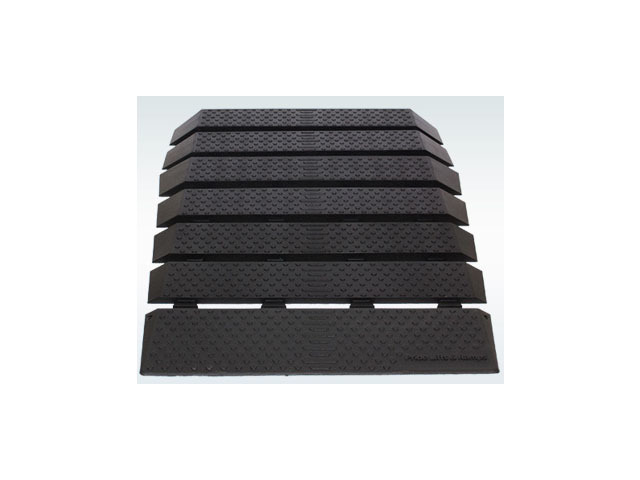 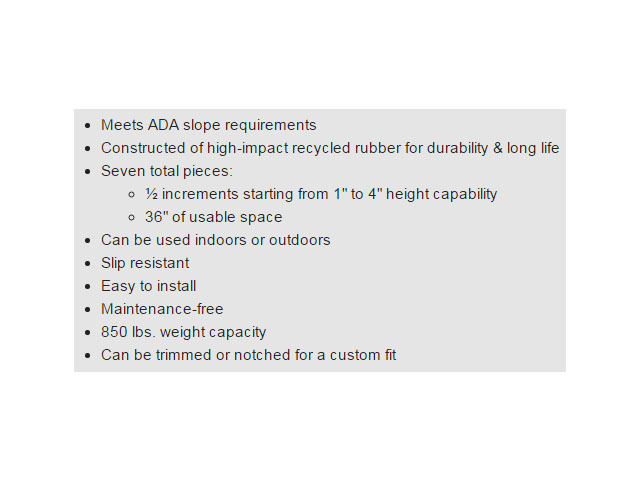 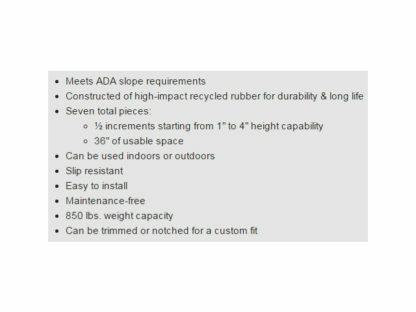 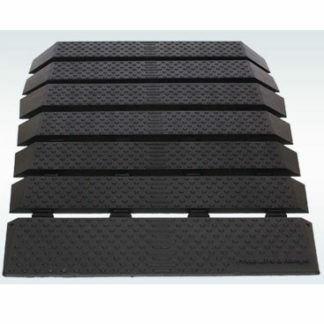 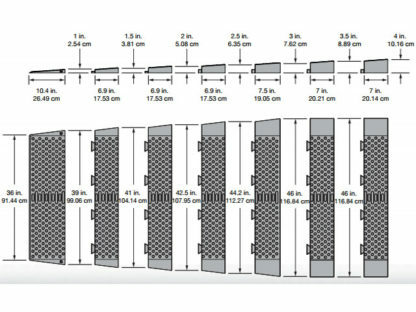 Modular design makes Pride Rubber Threshold Ramps a practical and affordable home accessibility solution.